I recently had the opportunity to speak on a panel organized by Interpublic Group, which owns the company where I work, in honor of National Mentoring Month. I arrived assuming I would network a bit, do the panel and then head home. Ho-hum, right? Sure, I was able to meet executives from the vast IPG network of agencies--people I've emailed and spoken with but had never met face to face. It felt great to build on these initial connections and to learn more about their work. I also got to check out a sister agency's super cool office. During the panel, I shared a story about how I met one mentee in a non-traditional way: Amanda and I chatted at the nail salon. At 19 years old, she working full time and finishing her degree at NYU. I was impressed with her focus and drive, and I said so. We've kept in touch, sometimes over pre-work breakfasts at Coffee Shop. It's amazing to see her grow. But the event also gave me something I never could have predicted. 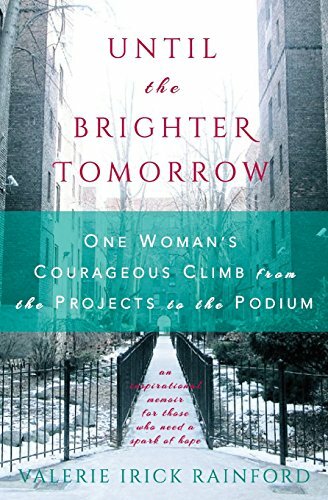 Before the panel, an IPG executive moderated a discussion with a special guest, Valerie Irick Rainford, an executive with JP Morgan Chase and author of a memoir called Until the Brighter Tomorrow--One Woman's Courageous Climb from the Projects to the Podium. Valerie told her story of not just her impressive rise from a truly challenging childhood to a successful career and happy family life, but also the suicide of her beloved mother. Her mother's suicide was a tragic event in Valerie's life, but over time, it shaped how she mentors and champions others. Once she began sharing this deeply personal element of her life story, she was able to connect interpersonally on a more meaningful level. Until she revealed this pain, no one she mentored could truly understand her motivation, drive and spirit. In 2010, my cousin Ella Scheuer, a beautiful, smart 27 year old graduate student, committed suicide. I have never spoken about it for I didn't feel I had any right. When my mother told me, my grief was dwarfed by guilt. My mother and Ella's father are cousins, but distant ones--our families are linked as much by friendship as blood. Ella was ten years younger than me. Beyond memories of playing with a wavy-haired little girl with serious but pretty eyes at family events, I didn't know Ella at all. After her death, I cursed myself for not seeking out a relationship with Ella and her siblings as an adult. For four years, I have tried to tamp down the regret I feel, while also trying to know her on some level even though it's too late. Ella left a few wonderful internet footprints of travel and adventure and study and beauty. Since Ella's death, I have thought of her so often. And I have wanted to tell her parents, brother and sister that this girl I barely knew is carried in my heart. Last fall, I saw them all at Ella's brother Brad's lovely wedding but I feared saying the words would have caused them more pain, and they've already had so much. In her talk, Valerie gave me a gift in the form of words. She told of how she came to terms with her mother's suicide by acknowledging her death as one day in a life. Just one day, one choice. No more. It was one day when her strength to keep fighting lapsed. The rest of the days still existed. They mattered. Maybe this applies to Ella too. I can't possibly know and I'll forever be sorry for not knowing her. But in her honor, I will strive to love more and worry less. To be a person who is caring and compassionate and patient. And to accept gifts of words like the ones Valerie shared with me.